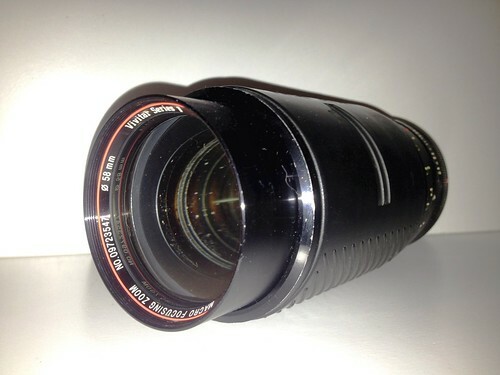 The Vivitar Series 1 70-210mm f/2.8-4 VMC Macro Focusing Zoom lens was marketed by Vivitar in the late 1980s and early 1990s. 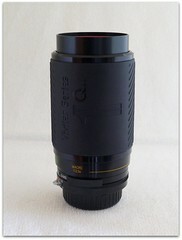 This was the fourth version of the Series 1 70-210mm zoom design (some consider it the fourth and fifth versions - see note below on the Q-dos variant). Q-dos 3-Dimensional Lens System version. 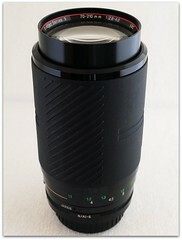 This lens is identical to usual model but with badging and support for Q-dos, a stereo anaglyph system developed by Vivitar. The lens included a switch that would optionally insert a half cyan, half red filter internally. The resulting image exhibited a limited 3D effect that could be viewed through conventional red/cyan 3D glasses. 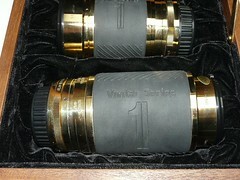 A gold-plated brass version of the lens was manufactured in a limited run for the Vivitar Series 1 50th Anniversary Lens Set which was given to Vivitar officials and dealers. This page was last edited on 4 May 2017, at 18:27.